Hello everyone in this tutorial I will be showing you how to make a calculator in java with source code. 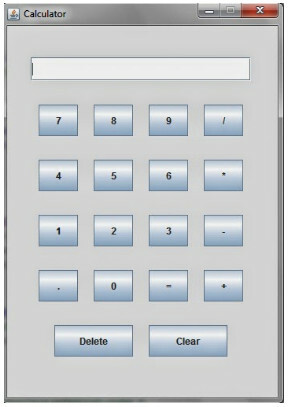 It's a very simple process for making a calculator with nice design by some source code in Java. Java is a very powerful code language for make any software or apps. The Google Play Store depends on Java programs. So many apps developer around the world work for google play store. They build the programs with java codes. If you wanna be a good apps developer you first need to have a good knowledge about Java Programming Language. Whatever, now I will provide you Java Source Codes for making a calculator in Java. i) No coding done for "+/-" button. ii) Menubar is not included. Here is two king of source code in Java for making Calculator. Hopefully, your are done with success. If have any trouble in these codes for making a calculator. Inform me via the comment section. I will try to solve it with my best.